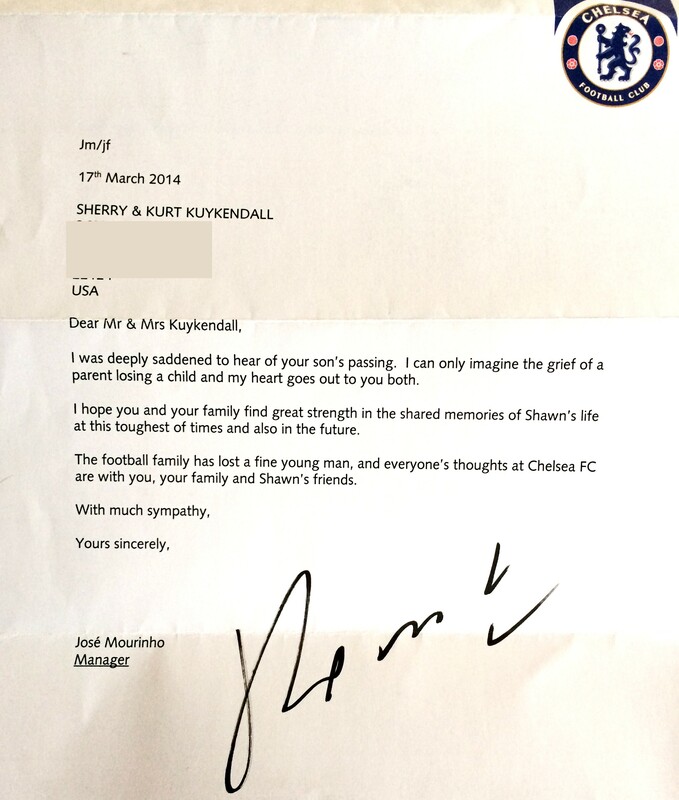 Early last week, Chelsea captain Frank Lampard sent signed uniforms to Kuykenstrong, the Kuykendall family, and American University. It turns out, Lampard wasn’t the only member of the English soccer giants who was moved by Shawn’s story. I was deeply saddened to hear of your son’s passing. I can only imagine the grief of a parent losing a child and my heart goes out to you both. I hope you and your family find great strength in the shared memories of Shawn’s life at this toughest of times and also in the future. The football family has lost a fine young man, and everyone’s thoughts at Chelsea FC are with you, your family and Shawn’s friends.